Chaverim of Queens, founded In memory of world renowned philanthropist, Mr. Jack Friedman a”h, started 11 years ago with just 10 volunteers. 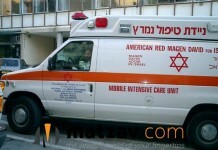 At that time Chaverim volunteers were dispatched to calls via Beepers! Today Chaverim of Queens has over 100 volunteers who respond to calls rapidly via a sophisticated APP. Times have changed and milestones have been achieved. However, some things have not changed that much and for that reason Chaverim of Queens is once again spreading awareness and asking the community to please be safe this Purim. We are unfortunately aware of the excessive drinking that takes place within our communities during the joyous holiday of Purim. While it is almost impossible to prevent people from partaking in such behavior there are other solutions to keep family and friends safe. The Chaverim of Queens “Don’t Drink & Drive” program was founded to prevent the likelihood that someone will be tempted to drive while under the influence on this festive day. 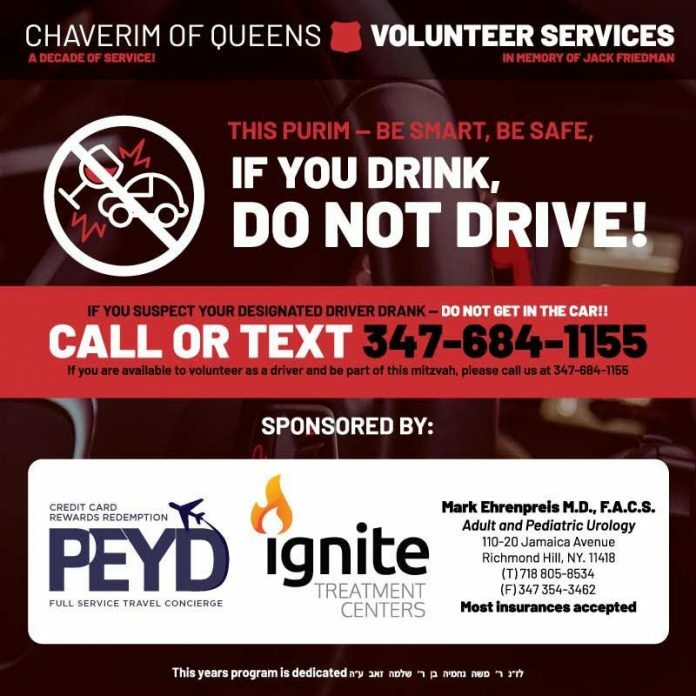 To prevent those who may be unfit to drive on Purim, Chaverim has “Volunteer Designated Drivers” available in Queens throughout Purim. This service can be requested on Purim night or day, in Queens, by calling or texting 347-684-1155. The regular year round 24 hour hotline number for Chaverim of Queens is 718-441-0505. 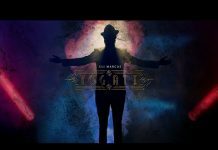 The Chaverim of Queens Purim “Don’t Drink & Drive” program is generously sponsored by “PEYD”, Dr. Mark Ehrenpreis, & Ignite Treatment Centers. 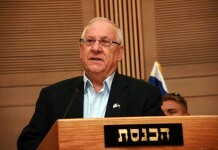 This year’s Program is also dedicated in Memory of Reb Moshe Nechemia ben Reb Shlomo Zev (Sukenik).